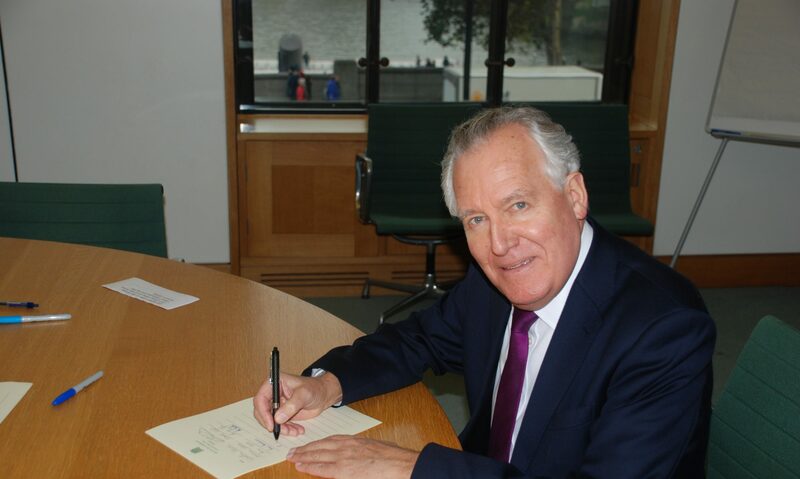 Students who had protested in Swansea against the Welsh Defence League were congratulated by Peter Hain at a Question and Answer session where he was also asked about his opposition to the BNP’s appearance on Question Time when he visited Neath Port Talbot College. In a lively debate they discussed fascism and racism and the need to combat racism wherever it appears. Mr Hain called on everyone to ‘drive the Le ague out of our towns’. Back in May Peter was put through his paces by students from Neath Port Talbot College. Peter met with A Level politics students on his visit to Neath Port Talbot college. He debated a number of topics with the students ranging from the government’s stance on ID cards, the Iraq war to anti-terrorist laws.